The Abraham Lincoln of 1862 was a different man than the one who ran for President less than two years before. The strain of a war that raged on, day after day with no end in sight, and the loss of his son, Willie, in February, led Lincoln into a period of soul searching where he examined events and tried to find divine meaning in them. The intertwined political, military, and personal hardships took its toll on him physically; journalist Noah Brooks observed that gone was the “happy-faced lawyer” and its place was a man with “a sunken, deathly look about the large cavernous eyes” (Brooks as quoted in Carwardine, 2006). While powerless over tragedy as Willie’s father, Lincoln began to search for divine will in his role as the nation’s Father Abraham. Southern victories and inept military leadership on the part of his generals led him to question, privately at first, whether the war had a higher purpose. Precisely when Lincoln decided to emancipate slaves in the Confederacy remains unknown (Foner, 2010 and Carwardine, 2006), but it was on July 22, 1862 that Lincoln informed his Cabinet that he would issue an Emancipation Proclamation. According to Richard Carwardine (2006), he took the advice of Secretary of State Seward and decided to wait for a military victory before he issued the document. Lincoln knew this might take a long time—but exactly how long he did not know. In the interim, Lincoln did a lot of reflecting on God’s purpose in the war and his role in it. It is believed that in early September 1862, Lincoln privately penned his “Meditation on the Divine Will.” Discovered after his death, this undated rumination showed how deeply Lincoln considered the question of what God wanted. Lincoln wrote, in part: “God can not be for, and against the same thing at the same time. In the present civil war it is quite possible that God’s purpose is something different from the purpose of either party—and yet the human instrumentalities, working just as they do, are of the best adaptation to effect His purpose.” In other words, Lincoln did not claim to be on God’s side, but did endeavor to see if he could determine God’s purpose in the war while “the contest proceeds” (Lincoln, 1862). I am approached with the most opposite opinions and advice, and that by religious men, who are equally certain that they represent the Divine will. I am sure that either the one or the other class is mistaken in that belief, and perhaps in some respects both. I hope it will not be irreverent for me to say that if it is probable that God would reveal his will to others, on a point so connected with my duty, it might be supposed he would reveal it directly to me; for, unless I am more deceived in myself than I often am, it is my earnest desire to know the will of Providence in this matter. And if I can learn what it is I will do it! Exasperated, Lincoln went on to explain to the Chicago delegation that he could not solely rely on divine inspiration, but had to continue to think and act rationally. He said, “These are not… the days of miracles, and I suppose it will be granted that I am not to expect a direct revelation. I must study the plain physical facts of the case, ascertain what is possible and learn what appears to be wise and right” (Lincoln, 1862, Sept. 13). When the rebel army was at Frederick, I determined, as soon as it should be driven out of Maryland, and Pennsylvania is no longer in danger of invasion, to issue a Proclamation of Emancipation such as I thought most likely to be useful. I said nothing to any one; but I made the promise to myself, and (hesitating a little)—to my Maker. The rebel army is now driven out, and I am going to fulfill that promise. I have got you together to hear what I have written down. I do not wish your advice about the main matter—for that I have determined for myself (Chase, 1903). While Lincoln was resolute in his decision, he realized that it might come at a price: Midterm elections were in November 1862 and things did not look good for the President and his Republican Party (Carwardine, 2006). I can truly say it is not from any motive of idle curiosity that I have requested this interview. I come in the love of the gospel of our Lord and Saviour Jesus Christ, – that blessed gospel which breathes glory to God in the highest, peace on earth, and good will to men. In common with the members of my own Society, – may I not say in common with every true-hearted citizen of the United States? – my spirit has been introduced into near sympathy with our Chief Magistrate in the heavy weight of responsibility that rests upon him; believing, as I do, that in the faithful discharge of his various and important duties he does endeavor to preserve a conscience void of offense toward God and man (Mott, ed., 1884). The fact that Gurney met with the busy, beleaguered wartime President for a visit was not unusual; despite the obvious demands on the President’s time, Lincoln made it a priority to regularly have what he called “public opinion baths” (Carwardine, 2006). 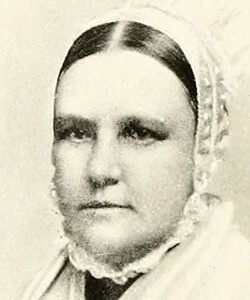 What was noteworthy, though, about Lincoln’s meeting with Gurney and the Quakers was the extent to which Lincoln was sincerely moved by her earnest prayer for him. She acknowledged the burden he was under as President, said she prayed for him without any ulterior motives, and expressed her support for his decision on emancipation. I am glad of this interview, and glad to know that I have your sympathy and prayers. We are indeed going through a great trial – a fiery trial. In the very responsible position in which I happen to be placed, being a humble instrument in the hands of our Heavenly Father, as I am, and as we all are, to work out his great purposes, I have desired that all my works and acts may be according to his will, and that it might be so, I have sought his aid – but if after endeavoring to do my best in the light which he affords me, I find my efforts fail, I must believe that for some purpose unknown to me, He wills it otherwise. If I had had my way, this war would never have been commenced; If I had been allowed my way this war would have been commenced; If I had been allowed my way this war would have been ended before this, but we find it still continues; and we must believe that He permits it for some wise purpose of his own, mysterious and unknown to us; and though with our limited understandings we may not be able to comprehend it, yet we cannot but believe, that he who made the world still governs it (Lincoln, 1862, Oct. 26). In this letter, Lincoln acknowledged that he took comfort in the Quakers’ prayers for him—a remarkable contrast to the exhausted tone that had been evident in his communication with the Chicago Christians. Notable in this letter also was his description of the Civil War as a “fiery trial”, wording that came from the Bible. Lincoln would use this phrase again later in his annual address to Congress in December 1862, when he stated that, “The fiery trial through which we pass, will light us down, in honor or dishonor, to the latest generation” (Lincoln, 1862, Dec. 1). At first blush, Lincoln’s October 1862 letter to Gurney might be remembered merely as a well written follow up correspondence to a White House visitor. Or maybe this correspondence is remembered only as a footnote, since it marked his first use of the phrase “fiery trial” But a deeper look reveals that there was much more to this Presidential letter than that. Clearly, Lincoln used the occasion of thanking Gurney for her visit as an occasion to explore his emerging philosophy about divinity, fate, and finding a higher purpose amidst an ongoing tragedy (Wilson, 2006). Moreover, what makes this letter even more historic is that it marked the beginning of a connection between Lincoln and Gurney that would last another two years, up until the fall of 1864. Given Lincoln’s tendency to be private and enigmatic (Foner, 2010)—particularly with respect to matters of faith (Carwardine, 2006)—Lincoln did not seem to hide from Gurney his vulnerability (Wilson, 2006) in questioning God’s purpose in the Civil War and exploring his unique role in God’s plan as President. Starting with his first letter, Lincoln’s correspondence with Gurney seemed to mark the transition from his private expression of searching for God’s will (as expressed in the “Meditation on the Divine Will”) to a more public stance before a small audience (Wilson, 2006), wherein he explored themes, ideas, and language that would ultimately become legendary in his Second Inaugural Address (1865). At one point in December 1862, in the depths of his despair, Lincoln questioned aloud to Pennsylvania governor Andrew Curtin, “What has God put me in this place for?” (as quoted in Guelzo, 1997). Although Lincoln, as Commander-in-Chief, would continue to “study the plain physical facts of the case, ascertain what is possible and learn what appears to be wise and right,” his communication with Eliza P. Gurney gave him some solace as he fervently pursued the answer to his question. In 1862, Lincoln said this to Noyes Miner, a Chicago minister and friend. This quote was taken from Lincoln: A Life of Purpose and Power by Richard Carwardine (2006). Lincoln described his quest as a “process of crystallization” which dated back to about 1860, the year he was elected President (Lincoln, as quoted in Shenk, 2005). There is some dispute about this date among historians and among those who knew Lincoln. Popularly accepted to have been written on September 2, 1862, this is an estimated date from the Collected Works who based the date on Lincoln’s anxious state of mind before issuing the Emancipation Proclamation on September 22, 1862. By contrast, Lincoln’s secretary, John Hay, who found the document after Lincoln’s death, estimated that the manuscript was written around September 30, 1862. The Lincoln Log puts the date at the end of October 1862 to coincide with Lincoln’s meeting with Eliza P. Gurney (the focus of this close reading). Finally, Douglas Wilson, author of Lincoln’s sword, estimates that “Meditation on the Divine Will” was written closer to 1864. This close reading proceeds from the assumption that the document was written in early September 1862—before the Emancipation Proclamation. About meeting with the general public, Lincoln said, “I feel—though the tax on my time is heavy—that no hours of my day are better employed than those which bring me again within the direct contact and atmosphere of the average of our whole people” (Lincoln as quoted in Carwardine, 2006). Eric Foner’s book, The Fiery Trial (2010), used as a source for this close reading, only attributes the phrase to Lincoln’s December 1862 address to Congress. No mention whatsoever is made of his letter to Gurney. The extent to which Lincoln experienced a religious conversion during his Presidency relies on contradictory evidence among those who knew him and therefore, remains a contentious debate among historians (Carwardine, 2006). Herndon, W. (1888).Herndon’s Lincoln. Chicago, IL: Acheron Press. Lincoln, A. (circa 1862, Sept. 2). Meditation on the divine will. In M. P.
Johnson, M. P. (Ed. ), Abraham Lincoln, slavery, and the Civil War: Selected writings and speeches(2001). New York, NY: Bedford/St. Martin’s. Lincoln. (1953, Volume 5). New Brunswick, N.J: Rutgers University Press. Lincoln, A. (1862, Oct. 26). Reply to Eliza P. Gurney. In R. P. Basler (Ed.) and M. D. Pratt, M. D. and L. A. Dunlap (Assistant Eds. ), The collected works of Abraham Lincoln. (1953, Volume 5). New Brunswick, N.J: Rutgers University Press. Lincoln, A. (1862, Dec. 1). Annual message to Congress. In R. P. Basler (Ed.) and M. D. Pratt, M. D. and L. A. Dunlap (Assistant Eds. ), The collected works of Abraham Lincoln. (1953, Volume 5). New Brunswick, N.J: Rutgers University Press. Lincoln, A. (1864, Sep. 4). To Eliza P. Gurney. In R. P. Basler (Ed.) and M. D. Pratt, M. D. and L. A. Dunlap (Assistant Eds. ), The collected works of Abraham Lincoln. (1953, Volume 7). New Brunswick, N.J: Rutgers University Press. Lincoln, A. (1865). Second inaugural address. In Johnson, M. P. (Ed. ),Abraham Lincoln, slavery, and the Civil War: Selected writings and speeches(2001). New York: Bedford/St. Martin’s. Bible hub. (2004-13). 1 Peter 4:12. Biblos. Available at: 1 Peter 4:12 Dear friends, do not be surprised at the fiery ordeal that has come on you to test you, as though something strange were happening to you. Carwardine, R. (2006). Lincoln: A life of purpose and power. New York: Alfred A. Knopf. Foner, E. (2010). The fiery trial: Abraham Lincoln and American slavery. New York, NY: W. W. Norton & Company, Inc.
Mansfield, S. (2012). Lincoln’s battle with God: A President’s struggle with faith and what it meant for America. Nashville, TN: Thomas Nelson. Wilson, D. L. (2006). Lincoln’s sword: The Presidency and the power of words. New York: Vintage.